Starting from a generic generally covariant quantum theory, we introduce a logarithmic correction to the quantum wave equation. We demonstrate the emergence of evolution time from the group of automorphisms of the von Neumann algebra governed by this nonlinear correction. It turns out that such a parametrization of time is essentially energy-dependent and becomes global only asymptotically, as the energies become very small as compared to the effective quantum gravity scale. A similar thing happens to Lorentz invariance: in the resulting theory it becomes an asymptotic low-energy phenomenon. We show how the logarithmic nonlinearity deforms the vacuum wave dispersion relations and explains certain features of the astrophysical data coming from the recent observations of high-energy cosmic rays. 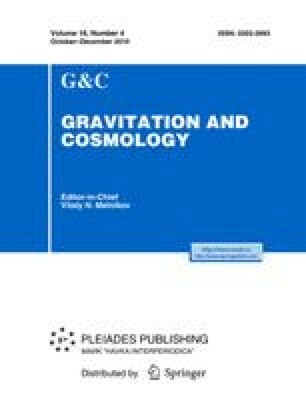 In general, the estimates imply that, ceteris paribus, particles with higher energy propagate slower than those with lower energy, therefore, for a high-energy particle the mean free path, lifetime in a high-energy state and thus the travel distance from the source can be significantly larger than one would expect from the conventional theory. In addition, we discuss the possibility and conditions of transluminal phenomena in the physical vacuum such as Cherenkov-type shock waves.